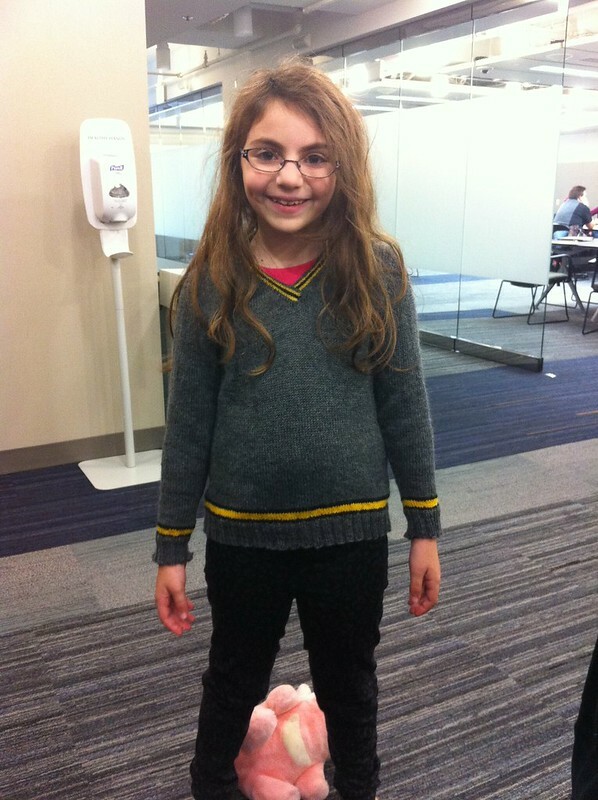 My daughter’s Hufflepuff sweater is complete but for blocking. It has a full Glamour Shoot coming on Halloween, but in the meantime, have the ends-woven-in last-test-fit image! The PigBear approves, despite lying down on the job. Liz, I am a quilter and happened upon your post about your Mom and the quilt she was making for you and her Behcet’s disease. My granddaughter has Behcet’s and I am trying to find a way to create a quilt to somehow raise money for Behcet’s research. It is such a devastating disease and just as my granddaughter is leaving high school and starting out towards an exciting photography career, this terrible disease is affecting her greatly. Any ideas you have on this matter would be greatly appreciated.